Sashastra Seema Bal (SSB) is a Border Guarding Force (BGF) under the administrative control of the Ministry of Home Affairs. Formerly known as Special Service Bureau, it was set up in early 1963 in the wake of the Indo-China conflict to inculcate feelings of national belonging in the border population and develop their capabilities for resistance through a continuous process of motivation, training, development, welfare programmes. Later, SSB was declared a Lead Intelligence Agency (LIA) for Indo-Nepal border (June 2001) and Indo-Bhutan border (March 2004). 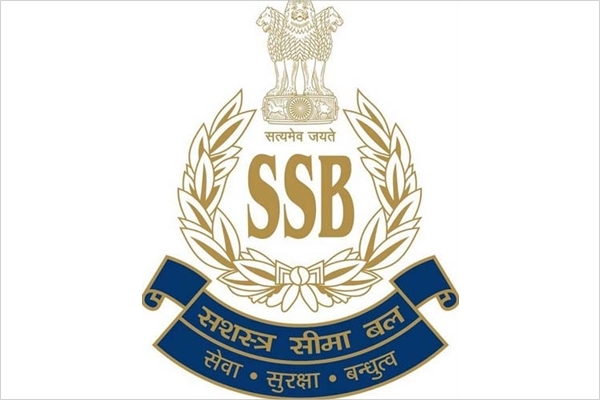 The motto of SSB is "Service, Security and Brotherhood". SSB has its Force Headquarters (FHQ) at New Delhi, commanded by Director General (DG) who is assisted by Additional Director General. Various Directorates like Operations and Intelligence, Personnel and Training, Administration, Provisioning and Communication, Medical, etc. function under the DG. Each Directorate is headed by an IG and assisted by DIG and other officers. SSB's five Frontier Headquarters (FTR HQ) are located at Ranikhet, Lucknow, Patna, Siliguri and Guwahati. FTR HQ is commanded by an officer of the rank of Inspector General (IG) comes next in chain of command after FHQ. There are fifteen Sector Headquarters located at Almora, Pilibhit, Lakhimpur Kheri, Gorakhpur, Bettiah, Muzzafarpur,Purnea, Ranidanga, New Jaipaiguri, Gangtok, Bongaigaon, Rangia, Tezpur, Jammu and Kashmir and Alwar. The Sector HQs are commanded by Officers of the rank of Deputy Inspector General (DIG). The Sector HQ exercises direct command and control over the SSB Battalions deployed in its area of responsibility along Indo-Nepal and Indo-Bhutan borders. SSB battalions are spread out on Indo Nepal and Indo Bhutan borders across the states of Uttarakhand, Uttar Pradesh, Bihar, West Bengal, Sikkim, Assam and Arunachal Pradesh. Each battalion is commanded by officer of the rank of Commandant who is assisted by officers of the rank of Second-in-Command, Deputy Commandant and Assistant Commandant. Battalion is further divided into Companies and Border Out post (BOP). There are seven Companies in a Battalion and each Company consists three border outposts. Company is commanded by Assistant Commandants and BOP is commanded by Sub Inspectors. SSB has two wings namely Combatised wing (Uniform Personnel) and Area wing (Non-Uniform OR Civil Personnel) which perform duties assigned by the Force Headquarters. Both wings have their own cadre. Combatised wing perform duties in Battalions on Indo- Nepal and Indo- Bhutan Border whereas Area wing perform duties in Area primarily for intelligence collection. Training to force personnel is imparted in following training centres on Counter Subversion, Border Management, Perception Management, and Survival & Other Professional Courses Designed to enhance performance. Apart from above there are Additional Training Centres at different places in which newly recruited constables are being trained. Trainings are provided in map reading, weapon handling, field craft and tactics, disaster management, low intensity warfare, intelligence, border management and other subjects related to policing.